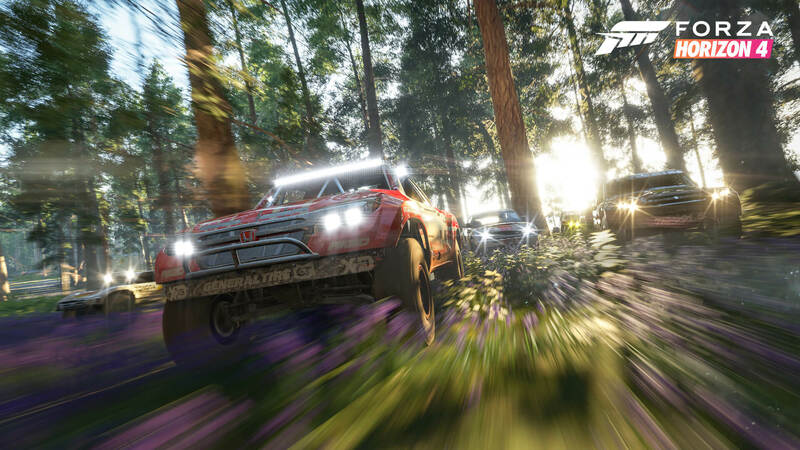 The Forza franchise has a strong history of featuring industry-leading cars and the British cover cars for Forza Horizon 4, the next entry in the open-world racing series from Turn 10 Studios and Playground Games, are no exception to this rule. 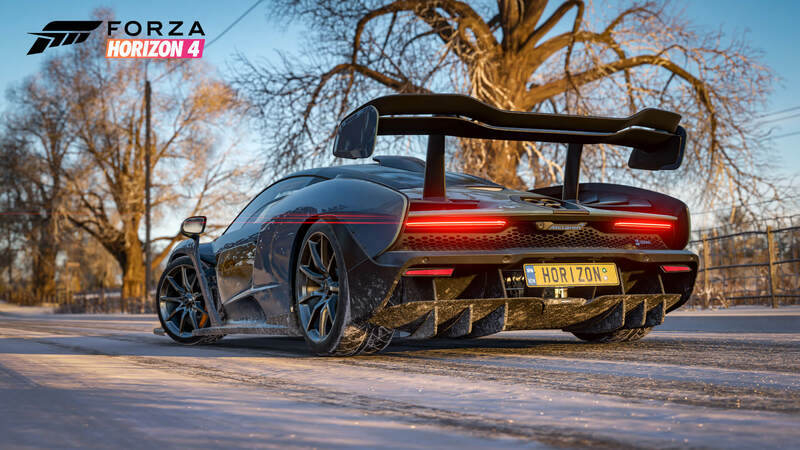 The 2018 McLaren Senna and the 1997 Land Rover Defender 90 will adorn the cover of Forza Horizon 4, which highlights its all-new dynamic seasons that allow for fresh, alive and ever-changing gameplay scenarios. In celebration of Microsoft’s long-term partnership with McLaren, the technical and design masterpiece that is the Senna will make its North American debut at the dedicated E3 Mixer booth, located in the South Hall of the Los Angeles Convention Center. The Senna will be displayed for E3 attendees throughout the week, who can also take it for a test drive in Forza Horizon 4 on Xbox One X and Windows 10 PC at the Microsoft Theater – using both an Xbox One controller and a motion simulator wheel-rig setup. This isn’t the first time Microsoft has debuted a legendary car with McLaren. The 2013 P1 hypercar made its appearance as the cover star of Forza Motorsport 5, featuring in the reveal trailer for the game at the Xbox One Reveal event. It also appeared on stage at E3 2013 during the Xbox Media Briefing and it was present at Microsoft’s E3 booth that year. Named after the legendary Formula 1 driver, Ayrton Senna, the McLaren Senna is designed to personify the British automaker’s vision at its most extreme by delivering an intense driving experience dedicated to creating the most personal connection possible between car and driver. 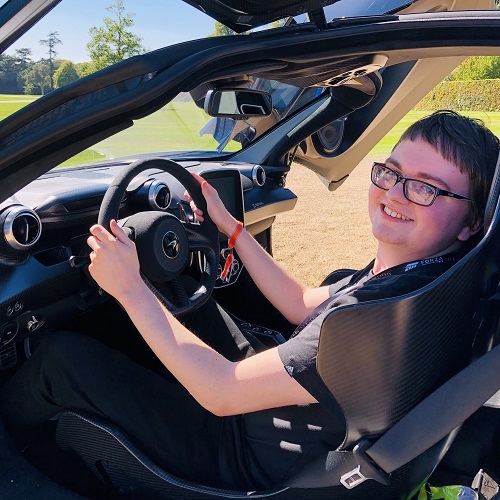 “We are thrilled to continue our partnership with McLaren and look forward to sharing more about how we’re working with McLaren to merge the automotive and gaming industries,” Microsoft said. 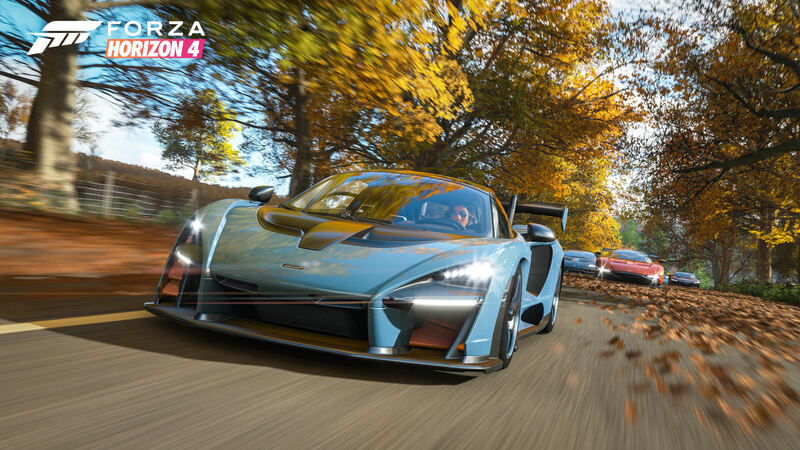 The McLaren Senna will also be showcased during an official Forza Horizon 4 Mixer livestream on Tuesday, June 12th at 11am PDT (2pm EST, 7pm BST). Forza fans can also download a free McLaren Senna Windows 10 theme from the Microsoft Store. In addition, the 2018 McLaren 720S has been confirmed for Forza Motorsport 7 and is slated to arrive next month with the July Car Pack – available at no additional cost for Car Pass holders. Joining the McLaren Senna on the cover of Forza Horizon 4 is the 1997 Land Rover Defender 90, a four-wheel classic specifically designed for exciting off-road adventures – perfect for the landscapes of beautiful, historic Britain. “We have been honoured to work with Land Rover on previous Horizon titles and adding a British icon like the Land Rover Defender 90 was a natural choice to help showcase the beautiful, historic background of Britain and the variety of gameplay available for players,” the company said. For more information on the cover stars of Forza Horizon 4, be sure to visit the official McLaren Automotive and Land Rover websites. Forza Horizon 4 features more than 450 Forzavista cars to race, customize and explore, including the hottest supercars from Ferrari, Lamborghini, and Porsche. They all feature working doors, cockpits and headlights, and with the new acquirable property in Forza Horizon 4, you can explore these cars in immense detail outside your house using the Forzavista mode. Look under the hood, sit inside the car, and rev up the engine before driving out. Explore all four seasons of the year in beautiful, historic Britain from October 2nd in Forza Horizon 4. 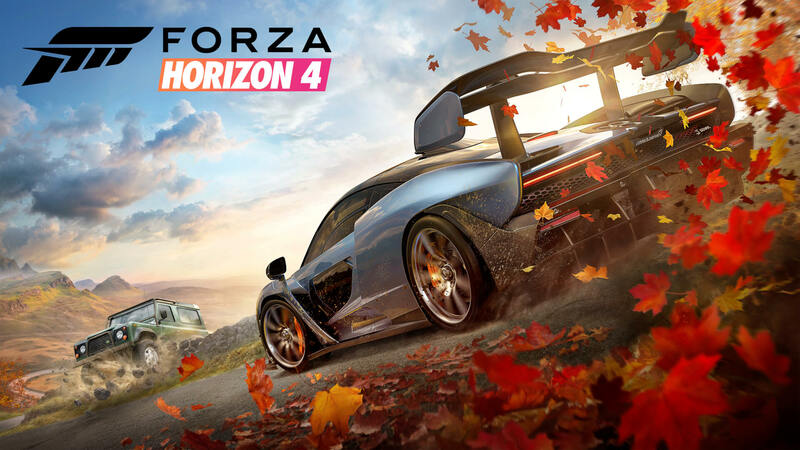 Available exclusively on Xbox One and Windows 10, as well as the Xbox Game Pass monthly subscription service from launch date, Forza Horizon 4 aims to unite players in the ultimate celebration of cars, music and freedom. Retail and digital pre-orders for the open-world racer are now live, and fans can take advantage of the Ultimate Edition to receive four-days early access from September 28th.